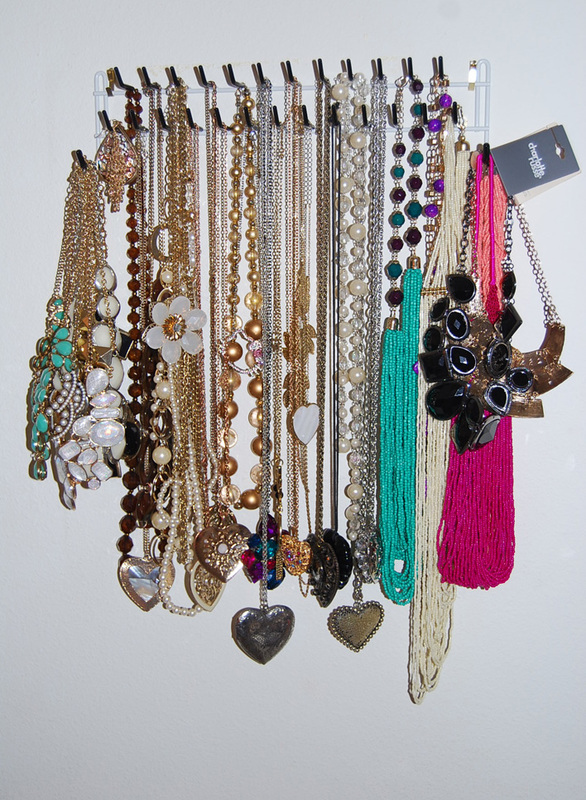 I love accessories, and because of that- I have a lot. And at times it can cause problems especially when your necklaces get tangled with one another (ladies you know what I am talking about! 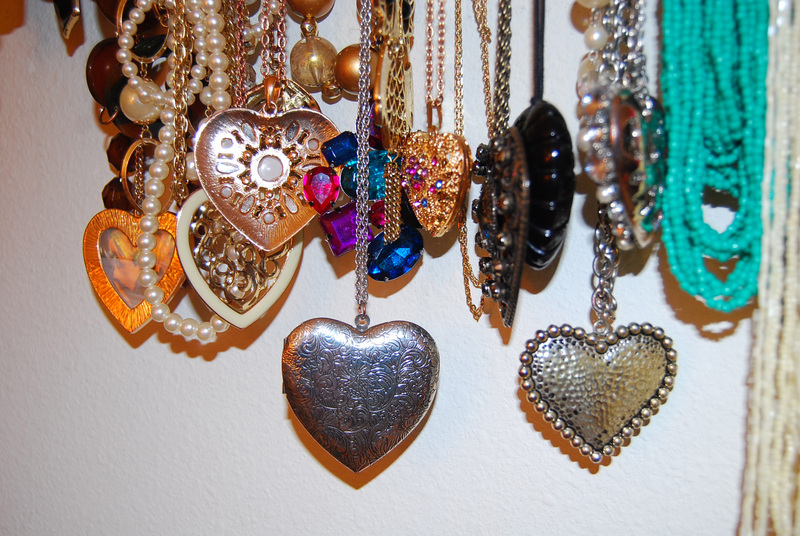 ), I bought so many necklace/jewelry trees and towers but they were always too short and could never accommodate my longer necklaces; not to mention they would get tangled amongst themselves on there as well. 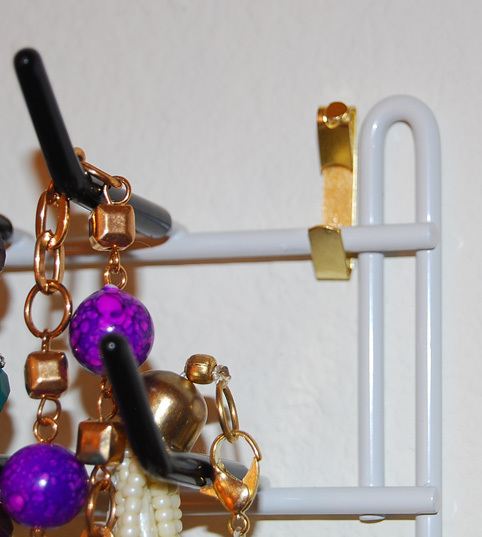 I was looking at tie racks/necklace holders on Amazon and just online in general, and some of them were crazy expensive, like in the $35-65 range if not more. 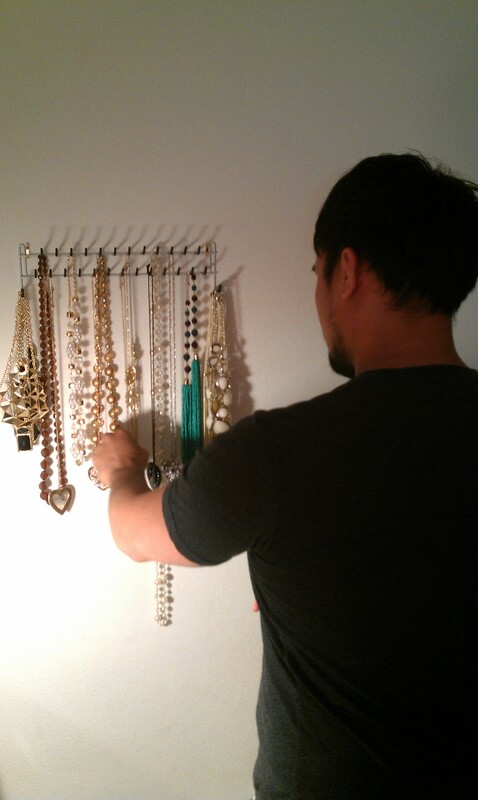 No way did I want to spend an exorbitant amount just to hang up my necklaces regardless of how convenient it would be. I relentless searched Amazon (they have everything!) 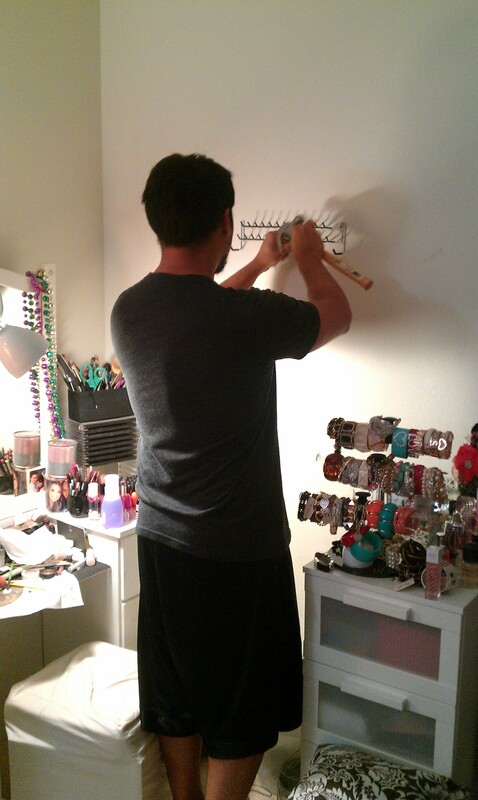 and found a “Closetmaid Tie and Belt Rack” on Amazon for $8.98 ($14 with shipping) and received it pretty fast! I mean heck at that price, you can buy 2 or 3! 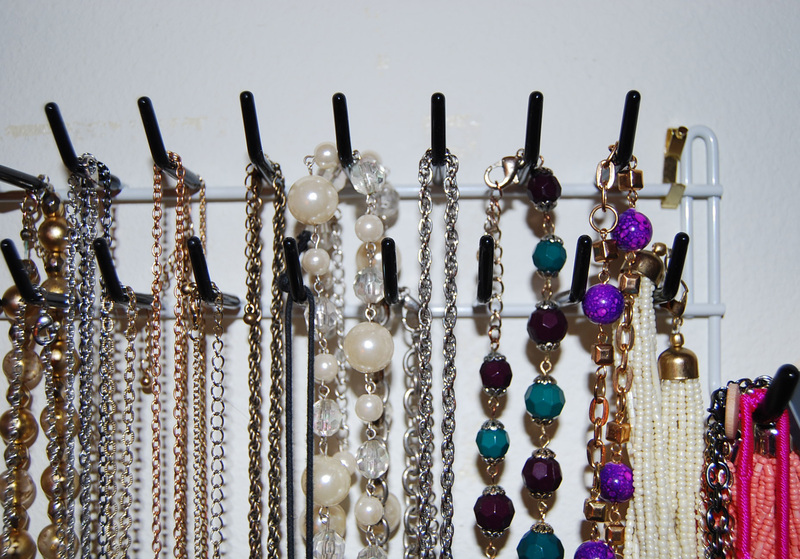 I love that it’s sturdy, it holds all my necklaces (and trust me those statement necklaces get heavy! 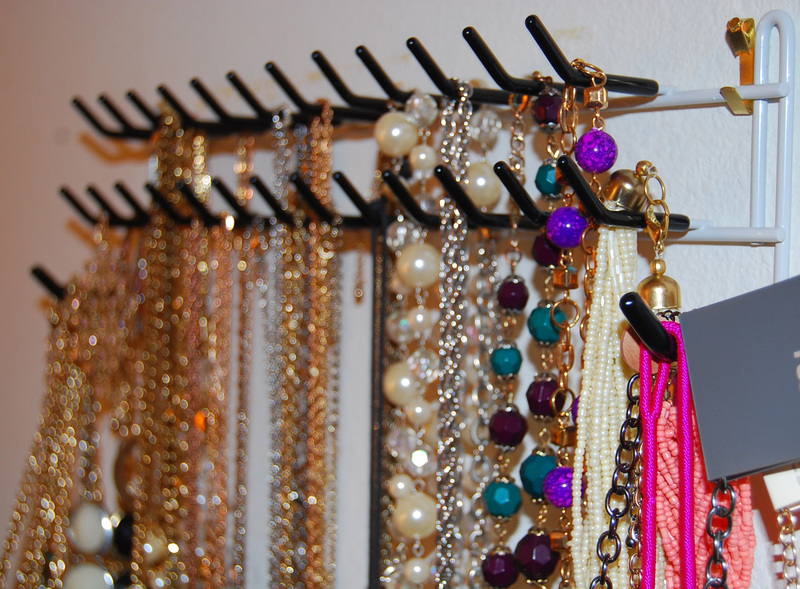 ), and I absolutely love that the hooks are angled so that your necklaces don’t fall off or move around, and your necklaces stay still so they don’t hit or scratch your wall. 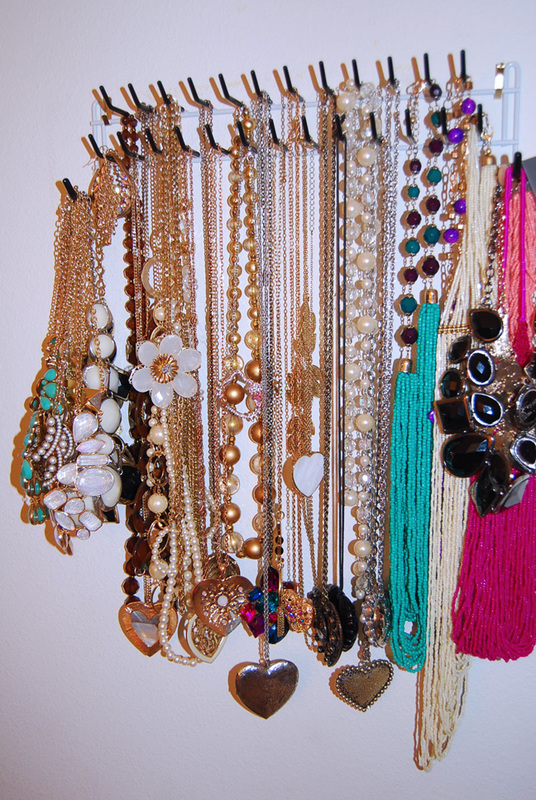 Very neatly organized..I need this!